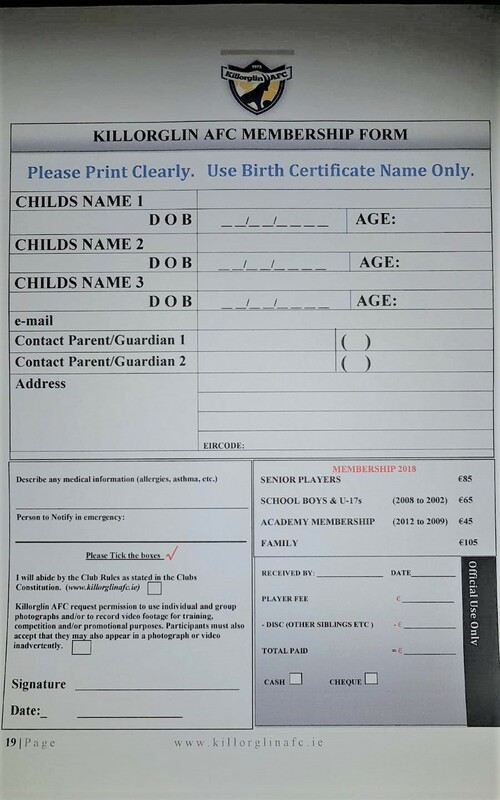 Registration for all players from Under 10s / Junior Academy to Under 16s will take place in CYMS hall on Wednesday 7th August at 8pm, followed by the club AGM. It is vitally important that every parent with a child looking to play soccer for Killorglin AFC in 2013/2014 should attend if possible. We need to assess the number of teams in each age group and if you do not register on the night, it means entering teams in the league, and providing adequate facilities is very difficult. We urge you to please make every effort to attend on the night. Note: Only parents are required to attend for registration. An EGM will be held in the CYMS in Killorglin on Tuesday 28th May at 8pm for all Parents of Junior, Academy and Underage Killorglin AFC teams. This meeting directly affects all teams for next year, and indeed the future of the club.